Ukrainian Communist Party case to be heard on July 24 | Russian Legal Information Agency (RAPSI). 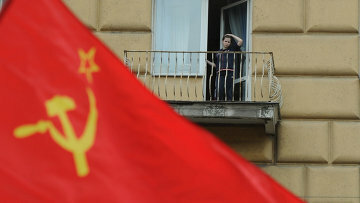 KIEV, July 15 (RAPSI) – The Kiev Administrative District Court will hear a lawsuit to ban the Communist Party of Ukraine on July 24, Justice Minister Pavlo Petrenko announced. In early May, Communist Party leader Petro Symonenko said that had he been Ukraine’s president he “would have immediately withdrawn the troops” from eastern Ukraine. He also described the military operations there as a war against the people. Oleksandr Turchynov, then acting president of Ukraine, requested that the Justice Ministry investigate the party’s activity and assumed that the party could be banned by a court ruling. The Justice Ministry recently filed a lawsuit to ban the Communist Party for anti-constitutional activity, for supporting the anti-Maidan fighters in the east of the country, and for urging the disruption of Ukraine’s territorial integrity. Ukraine’s Communist Party was a close ally of the Party of Regions. Both parties relied primarily on the eastern regions, and both lost their positions in February of this year, when rightwing radicals, including the ultra-nationalist party Svoboda, brought an opposition coalition to power in Kiev. The new Kiev government has the backing of the western and central regions of Ukraine.